For the people who do not understand Brazilian Jiu-Jitsu may automatically picture men rolling around half naked punching each other in the face and trying to rip their throats out. The phrase a lot of people respond with when you say Brazilian Jiu-Jitsu is “isn’t that like UFC.” Furthermore, you proceed to explain to them exactly what you do until 25 times of explaining later you say yes and walk away to save your breath. For others that are involved in wrestling and mixed martial arts it seems to take on another meaning. “It is that you are wearing a big bath robe and trying to grab each other in weird ways.” As someone that is a fair fan of all combat sports and a Brazilian Jiu-Jitsu black belt, I would like to share five reasons as to why it would benefit you by training in a Gi. Believe me when I say, “I have heard them all” and have not encountered one reason or excuse that makes enough sense to not train in the Gi. 1. Having something to hold onto while training makes everything slow down. Your progression into a position and the ability to strike and submit your opponent diminishes. Following the traditional guidelines of Brazilian Jiu-Jitsu as a self-defense will mean fighting opponents with clothes on most the time. That means you have multiplied your ability and knowledge of attacking ten times by training in a Gi. Some people have made the argument that a t-shirt does not hold up to choke someone. Have you tried it? Have you drilled ways of grabbing a t-shirt to provide extra grip? It works, so your excuse is void. Also take into consideration where you live. In the mean streets of Brazil, you may find a lot of the population at the beach enjoying the water. Do you really think that is all they do? Job environments provide a great opportunity for disagreement and sometimes altercations. Grab a hold of someone’s sport jacket and choke him with it if you have too. But how are you supposed to know what to do with the technique if you do not train it? 2. When you train in a Gi your defense has to start long before you are actually in trouble. If you do not think through your technique and make sure it is sound you cannot just “yank” out of something to get a better position. Is this not a valid reason to train in a Gi? Your technique will improve so that you do not get beat plus it allows your training prevention at a greater percentage than getting smashed up without a Gi. Do not sit around and waste another day without training in the Gi for this reason alone. Technique truly does overpower strength when drilled and applied the way it is supposed to be done. I am not the best No Gi grappler on the planet but I do hold my own against guys my level just from mainly training in the Gi. 3. Everything you do in Nogi can be done in a Gi – YES!! 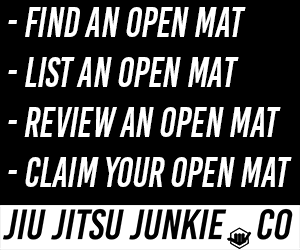 All your favorite submissions can still be applied when you are wearing a Gi! So why would you not want to challenge yourself with something that will keep you gaining knowledge and help you to keep yourself at the top of your game? I understand 99% of it is not wanting to lose and feel like you have to relearn or start over at the bottom but think of it this way, you can only go up from here. There is no pressure to walk out there and be the best right away. I have rolled with some great MMA fighters and convinced them to put on a Gi. Gi’s change everything just like punching in MMA can change your effectiveness with your Brazilian Jiu-Jitsu. Get out and do it in a Gi. 4. Gi Brazilian Jiu-Jitsu is a lot less ego and a lot more chilled – I have always appreciated the fine art of “fighting without fighting” – Bruce Lee. I think Gi Brazilian Jiu-Jitsu is just that with my experience rolling with all types of people including Judo, Wrestling, MMA, Sambo and even Japanese Jiu-Jitsu. I can promise you will not feel as beat up rolling with a great Brazilian Jiu-Jitsu practitioner. Someone who has all their techniques fine tuned and understands that it is not about how bad you make the other person feel after you roll with him but simply letting you defeat yourself. No Gi jiu-jitsu can sometimes take away from the technique because you do not have to try as hard to escape. Take a chance and put yourself out there to learn how to beat someone without throwing a punch and utilizing all the tools you have available which means the Gi. 5. You will have something to show for it – It is not all about rank when you speak about training Brazilian Jiu-Jitsu; it is simply about the knowledge that comes along with the rank. I was once the guy that did not care about getting rank in anything but just learning to fight and defend myself. Then I met a guy that really put things into perspective for me by informing me that Gi Jiu-Jitsu no matter what academy you train has a ranking system that dates back many years ago. You start at a white belt and end at a black belt and for some even a higher belt. Many people put the time in for their belt and they display it around their waist as a symbol of accomplishment that can never be taken away from them. It is a sense of pride and years upon years of bleeding and sweating in the gym. No Gi training in some academies have levels to award for progression but to my knowledge growing up in martial arts, is a fairly newer concept. Respect your lineage and what it is to have a “ belt” It does not make sense for someone to say, “I am a black belt in No Gi jiu-jitsu.” In summary, do not misunderstand that I train Gi, Nogi, MMA, Tae Kwon Do, Hapkido, Karate, Judo and even work wrestling. All these combat styles have something to offer you and I love all arts of self-expression and will not say anything bad about the benefits to doing one or the other. In this post, I am stating that you must open your own mind to things that will make you a better martial artist and Brazilian Jiu-Jitsu practitioner. Show your love and respect for Brazilian Jiu-Jitsu by training in the one thing that really utilizes the whole art of Brazilian Jiu-Jitsu, the Gi. Are close outs ruining Brazilian Jiu-Jitsu?